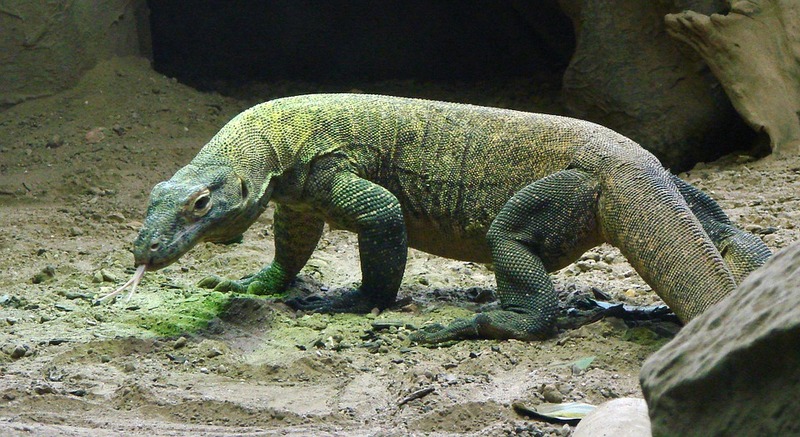 Researchers from George Mason University have now found that the blood of Comodo dragons contains antimicrobial proteins and can be used for the development of drugs to combat Antibiotic-resistant bacteria or Superbugs. Komodo dragon is the world's largest lizard and lives on five small islands of Indonesia. The lizards can grow up to 3 meters in length and weighs 70 Kilograms. Previous research has found that the mouth of komodo dragons contains 57 types of dangerous bacteria that lead to the death of the prey. However, the dragons are resistant to these toxic bacteria. Researchers found that the serum of dragons possessed antimicrobial properties. All living creatures produce substances known Cationic antimicrobial peptides (CAMPs) as part of the innate immune responses. So the team of researchers thought of isolating CAMP's from the dragon blood. For this, the researchers has used an approach called bioprospecting. The team collected the blood from Komodo dragon and incubated with negatively charged hydrogel particles, to capture peptides in the blood which are positively charged. Using this approach, they have identified and sequenced 48 CAMPs with mass spectrometry. All of the identified CAMPs belong to histone family and are found to possess antimicrobial activities. The team synthesized eight of these peptides and tested against antibiotic resistance bacteria or superbugs such as Pseudomonas aeruginosa and Staphylococcus aureus. It was found that out of eight peptides seven of them are effective against both the bacteria and the eighth peptide is found to be effective against P. aeruginosa. Further research would involve to find out whether the peptides are produced continuously or in response to any pathogen. The studies would also involve tracing the antimicrobial peptides across species including humans. So the current research offers scope for future therapeutics and an important step towards resistance against antibiotic-resistant bacteria or superbugs.